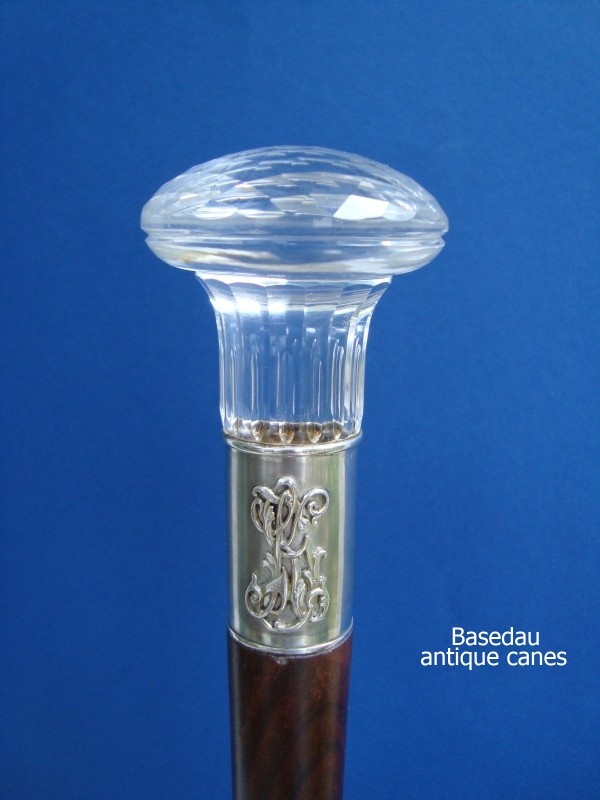 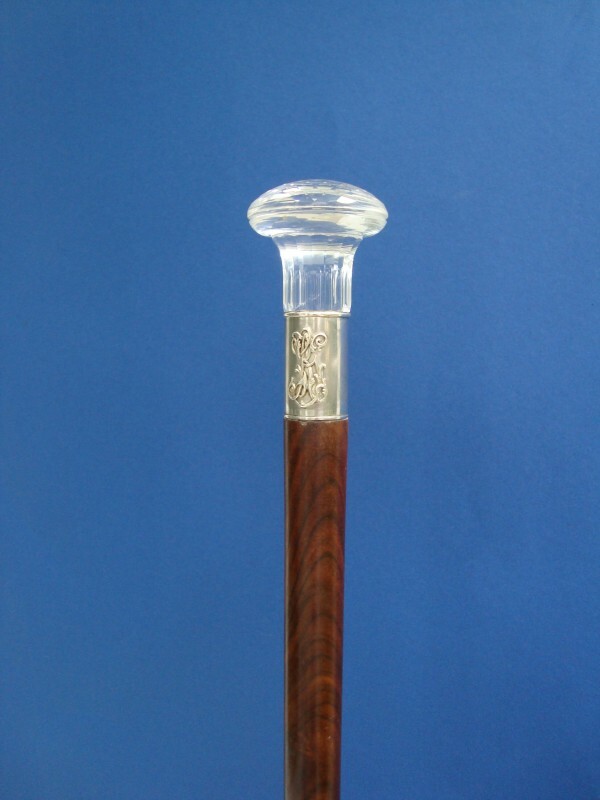 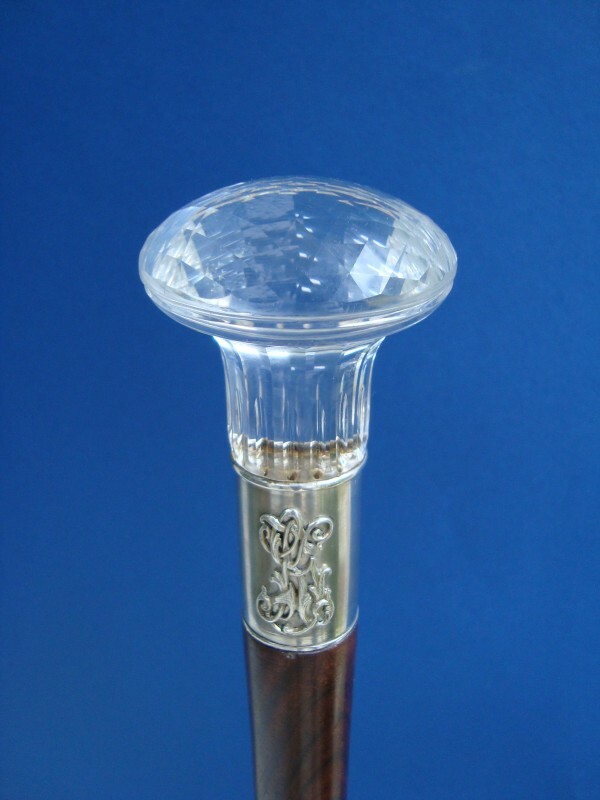 Art Dèco walking cane with a mushroom shaped knob of transparent, multiple faceted crystal glass. 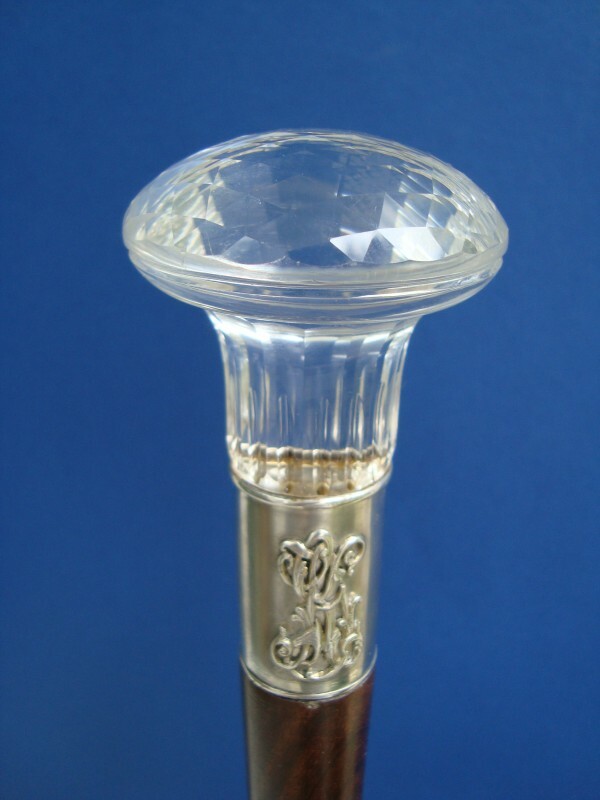 The knob is fitted on a big silver collar which has put on the initial "GK" and a brown grained hardwood shaft. 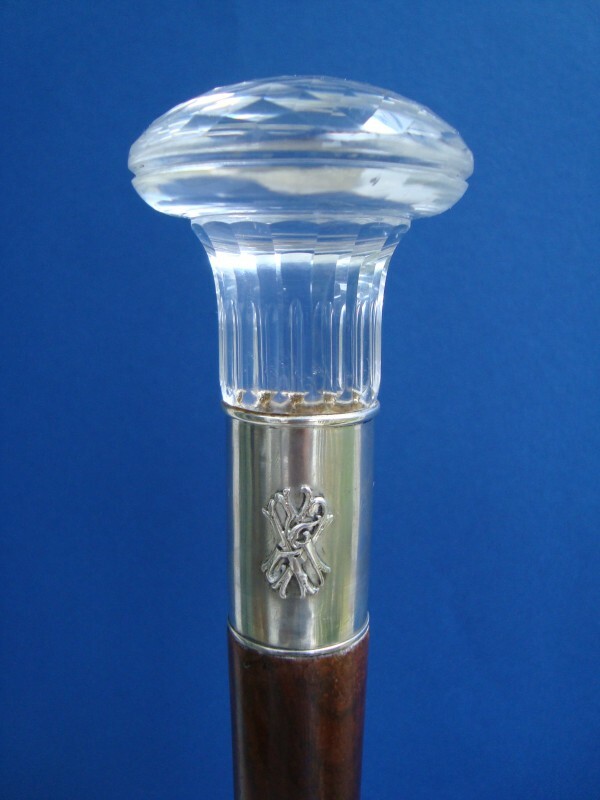 Measures of the handle: H. 5 cm, 1,96” W. 5 cm, 1,96”, overall length 97 cm, 38.